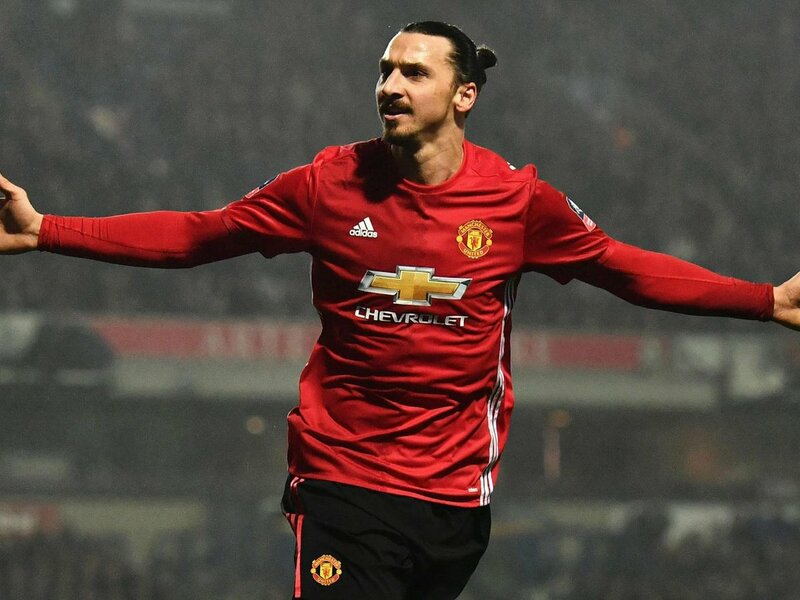 Zlatan Ibrahimovic made a surprise and triumphant return to Premiership football, when Manchester United’s manager, Jose Mourinho brought the Swedish striker on in the closing stages of last weekend’s game against Newcastle. It was the first time that Ibrahimovic had played competitive football in six and a half months; since the appalling injury that could so easily have ended his career. After the game, in which he showed his class and reminded both Mourinho and the Old Trafford faithful of his quality, he stated that in his opinion United could still catch league leaders Manchester City. The Swede wasn’t the only one to make a welcome return after a spell out due to injury. Paul Pogba, the club’s record signing, has also made a welcome return. He started the game against Newcastle during which he scored a goal and was also credited with an assist. Pogba was of a like mind with Ibrahimovic. He reminded all and sundry that this game against Newcastle was the first time this season that Jose Mourinho had been able to field his preferred first team line-up. It wreaked dividends with United trouncing Newcastle 4-1 after which Pogba sided with his Swedish colleague, saying that now they were back to full strength, they would be able to mount a realistic challenge to City’s championship hopes. While the return of Pogba was pretty much to schedule, that of Ibrahimovic came as a very pleasant surprise to the Manchester United fans. The full extent of his injuries was not widely known, and in a recent interview, he said that it was more than just his knee and that he would like to keep the precise details personal. Suffice it to say that the nature of the ligament damage could have signalled the end of his playing career. In fitter and younger players, full recovery time is usually reckoned to be nine months. But Ibrahimovic worked hard during his recovery, putting in five and six hours of therapeutic physio work per day. He made his earlier than expected return thanks to his own hard work. Evidently, Mourinho was emotional at his return to fitness at least one month before schedule. He told the 36-year-old before he went on that he had his complete trust and just to do just whatever wanted to on the pitch. Player and manager are clearly in synch, and the big Swede confirmed the key role that Mourinho has played in his recovery, part of which was to have the faith to sign him to a new contract while he was still in the early stages of recuperation. Ibrahimovic wryly explained that the contractual side of things was just paperwork and that he simply got on with the physical work. He went on to say that his recovery was not a one-man effort and he praised colleagues for the part they had played. After an initial period of worry and uncertainty, Ibrahimovic said that he was relieved and delighted to be able to run, push things and play soccer again. In terms of Sweden’s chances in the World Cup in Russia next year, the return to fitness of Ibrahimovic can only be good news. Emile Heskey, the former Liverpool and England striker, said in a recent interview that the majority of national sides are playing possession football, leaving little room for quick counter attacks. But this is something that a player of Ibrahimovic’s quality can facilitate for the Swedish team. His ability to hold the ball and distribute it quickly to team colleagues, cutting through defensive barriers can make all the difference. Back on the home-front who knows whether Manchester United will be successful in mounting a serious challenge to City but they have done their bit after cutting their lead to five points with a win at Watford last night. It’s going to be an uphill task to overhaul Pep Guardiola’s side, but if anyone can do it, Ibrahimovic, Pogba and the rest of the United squad can.